Chaplain Zach Justice delivers a Bible lesson. Mathematics is taught each year by spiraling through previously taught concepts and then expanding on them. This allows students to strengthen past knowledge, before continuing on through new concepts. In math our students work through abstract problems, as well as solving word problems. Problem-solving techniques in word problems allow students to see real-world examples of mathematics, and to prepare them for college entrance examinations. In English—whether we are memorizing vocabulary, crafting essays, or analyzing literature—we are part of a God-blessed process. As those created in God’s image, we communicate in language because He does. When we work with words, we take part in the medium God used to speak His creation into being, the beautiful gift He fashioned to convey ideas and give life to dreams. God, Himself, modeled the most excellent, accurate, and uplifting communication and placed a high priority on preserving words in written form. Therefore, we derive our standards of excellence in all genres from the Bible. We limit our study of literature to those pieces which meet our criteria for novels, poems, and short stories worth reading. We believe the study of English is vital in teaching students to detect the lies behind the powerful words of those who shape culture. 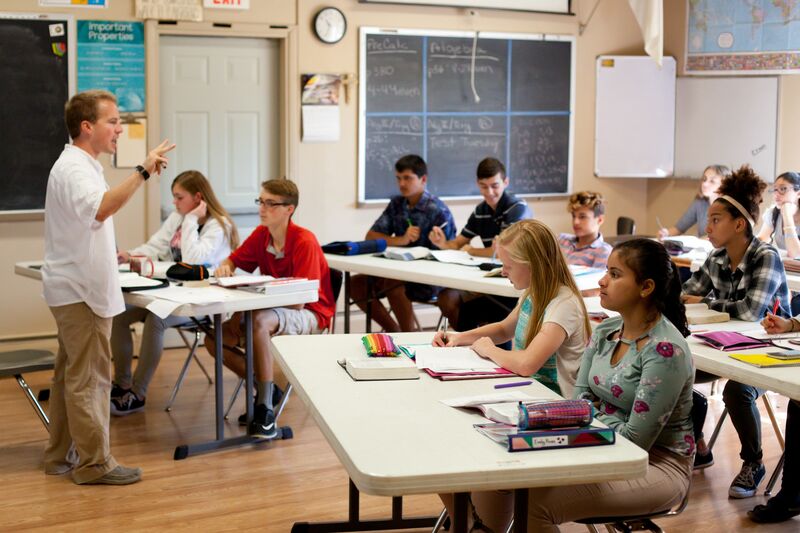 The mission of the Science Department is to glorify God by providing a Christ-centered science education under the authority of God’s Word. We will see science in the framework of a biblical worldview. 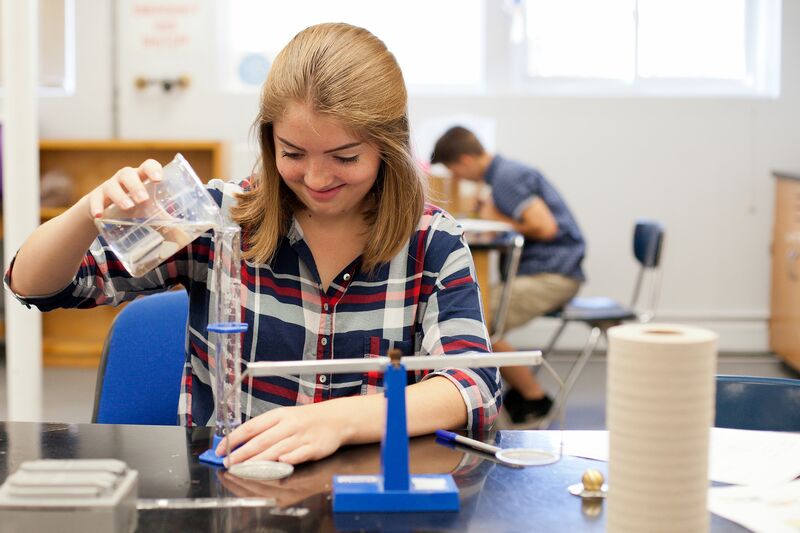 In learning science, students will understand and apply scientific concepts, principles, and theories pertaining to the physical setting and living environments. In social studies we investigate the development of the human community by studying geography, history, economics, politics, and anthropology. In our exploration we discover the brokenness of many ideologies and institutions and consider biblical alternatives to cultural, institutional, and national development. 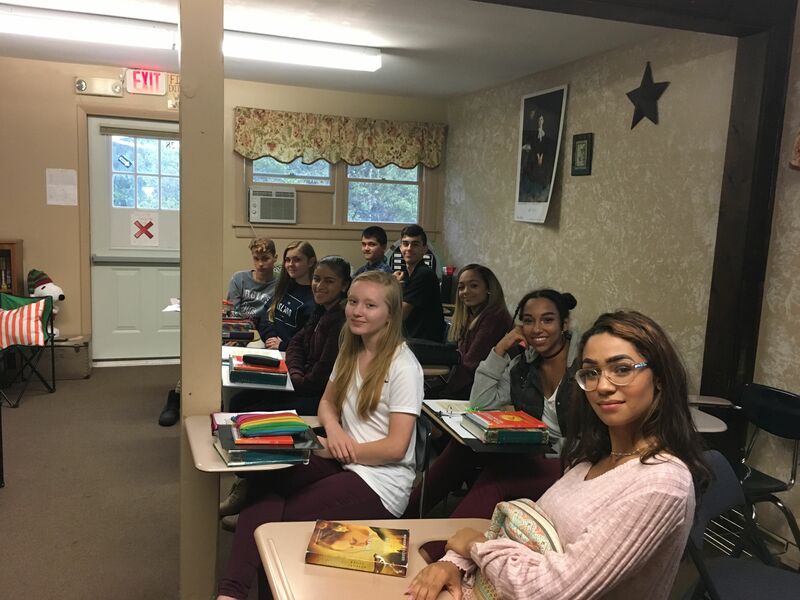 The study of a world language leads students to develop appreciation for the richness of other cultures, the intricacies of verbal and written communication, and, by contrast, the peculiarities of our own culture and language system. We offer two years of Spanish.